The inadequacy of certain universalistic claims in regard to ‘Dreamtime’ metaphysics is seen with regard to some of A.P. Elkin’s claims. 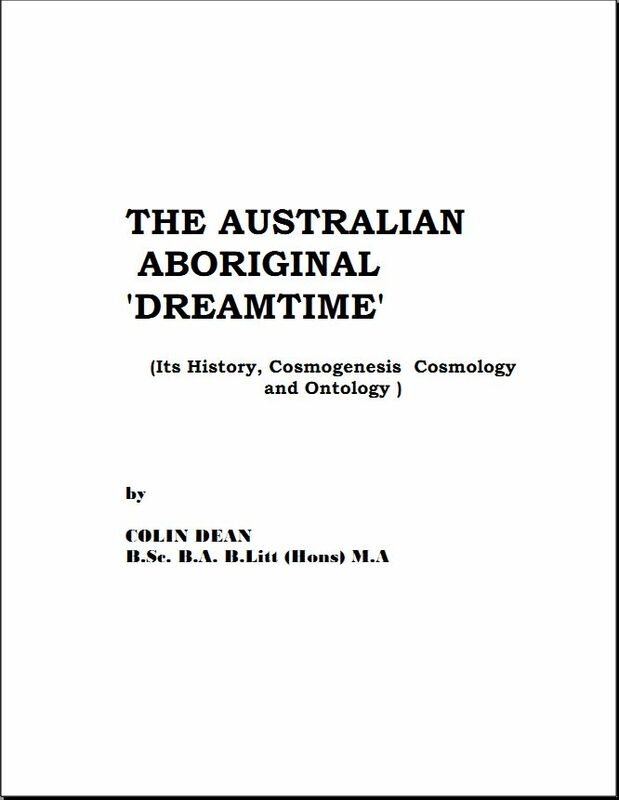 Elkin creates a false universiality when he claims the ‘Dreamtime’ is “…the condition or ground of existence… in which the past [‘Dreamtime’] underlies and is within the present”. This claim by Elkin [it will be seen (ch.4)] is only valid for the Murinbata and perhaps the Mardudjara, but not for the Jigalong, Fitzroy Aborigines, Wuradjeri, Murngin, Warrabri, Wailbiri, Ooldea and Tiwi, because for these groups the ‘Dreamtime’ is parallel to the present reality and not within it.